The first in our popular Learn from the Leaders webinar series will take place at 2 p.m. CST on May 24 and feature presentations from Jackie Kimbler and Melanie Tatum at Texas Tech University and Aaron Uresti at the University of California, Irvine. This webinar will showcase the innovative green cleaning programs at both of these Green Cleaning Award-winning universities, with special attention to their ability to galvanize their students, schools and larger community around health and sustainability. There will be plenty of time for questions and discussion from participants at the end of the webinar, so tune in and come prepared! 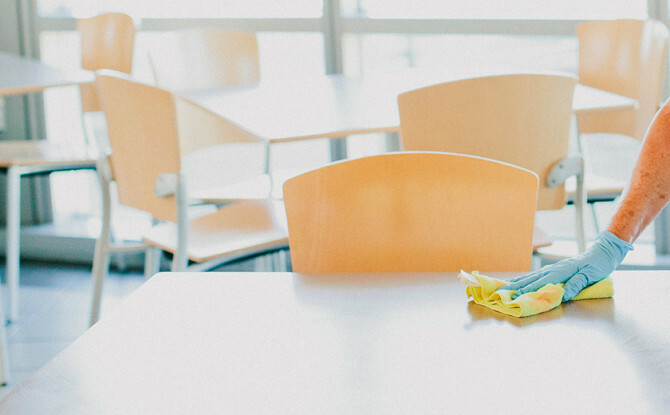 All of our Green Clean Schools webinars are designed to be helpful for all green cleaning advocates, including parents, school administrators, teachers, custodial staff and school nurses. A second Learn from the Leaders webinar will take place on June 14 and feature a panel discussion with two Green Clean Schools Leadership Council members and leaders of 2015 Green Cleaning Award winning schools, Kimberly Thomas at Clarke County School District in Georgia and Tommy Little at Georgia Tech. Registration is available online. Don’t forget that you can access archived webinars at any time on our website.